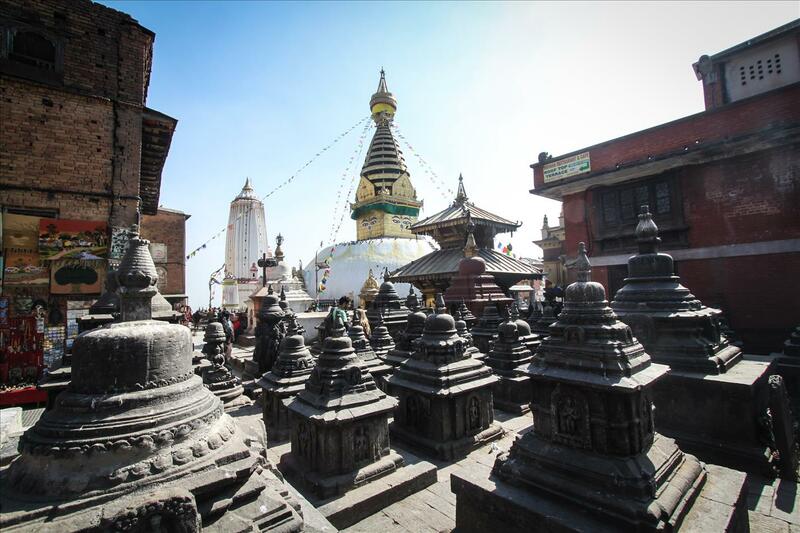 If the Himalayas crown Nepal, temples are the jewels as deeply embedded into culture as the mountains are to the landscape. 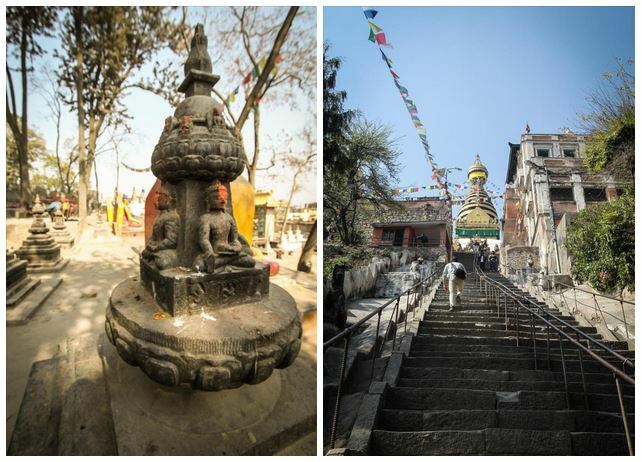 We visited a trio of temples in Kathmandu starting at the ancient and holy Swayambhunath complex which houses a temple as well as some walking paths and artisan shops. I started off the morning walking off a bacon cheese croissant breakfast with extra bacon all the way to the Swayambhunath temple from our hotel. I was greeted by about a thousand steps as steep as some of the nearby mountains peaks at the entrance. Suddenly, I didn’t feel guilty for literally pigging out at breakfast anymore. The steps lead up to an ancient plaza with a stupa in the middle. The wise eyes of Buddha shining out of the gold pinnacle preside over the area as they have for nearly 1, 500 years. 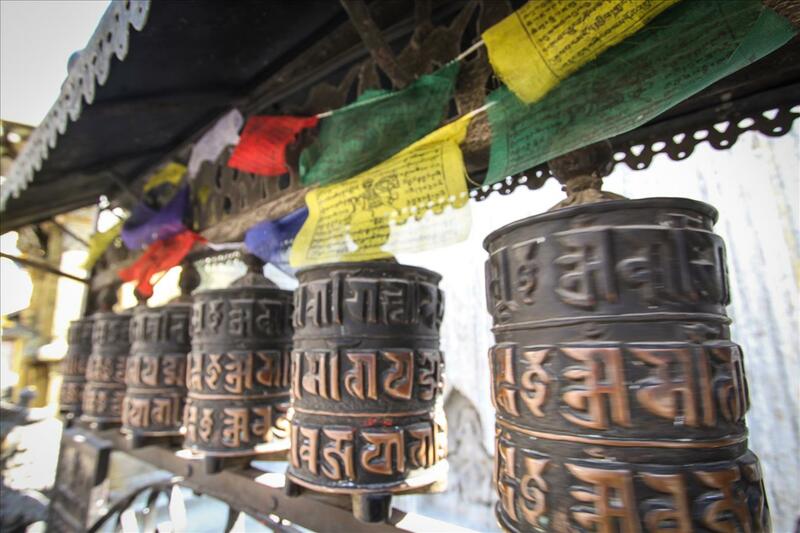 Prayer wheels circle the stupa and Buddhist pilgrims circulate clockwise sending their prayers off with the spin of the inscribed metal. 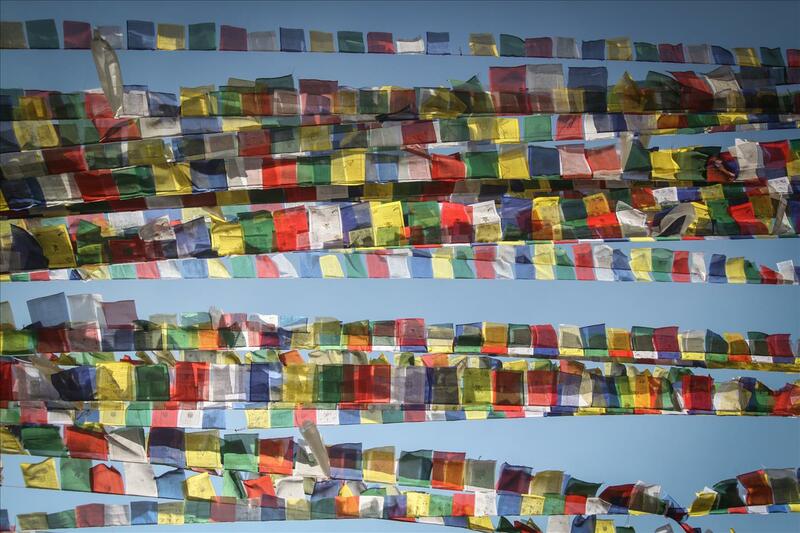 Prayer flags flap in the breeze sending their prayers and blessings into the atmosphere, the Om Mani Padme Hum mantra fills the air while monkeys and dogs laze about enjoying the peaceful area and the kindness of the visiting monks. This is the scene of the second most sacred Tibetan Buddhist site. It’s simply a calming and enjoyable place to spend time. Taking a short walk, I realized why the Tibetan name of the site: Phags.pa Shing.kun means sublime trees. The trees are indeed gorgeous giants springing out of the top of the hill. 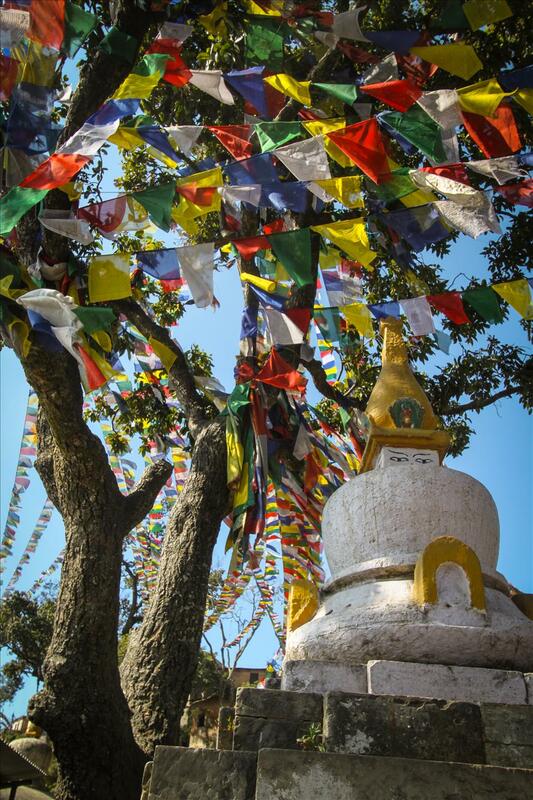 They’re adorned with string upon string of prayer flags that encase them in bright colors and exaggerate the beauty of the rustling branches with waving of the colors in the wind. Also, I realized why the site is affectionately nicknamed The Monkey Temple as there were families of monkeys at every turn. Although on a side note, I realized not to make eye contact with the holy monkeys. They’re holier than you and they know it. I made this mistake and disrupted the serenity of the site by running screaming away from an ill-tempered resident of the temple. We made our way cautiously among the monkey families over to the second part of the complex and were met with beautiful historical buildings and more prayer wheels. They excite a childlike happiness as you walk past spinning wheel after wheel which is one of the Buddhist ideals: pure childlike inner joy. After walking the place over one more time to make sure we hadn’t missed anything, we continued our awe inspiring journey through Nepal’s spiritual landmarks.